500 Rai Resort is located on Ratchaprabha Dam (Chiew-Larn Lake), the largest reservoir in Southern Thailand, formed when the Saeng River was dammed in 1985. 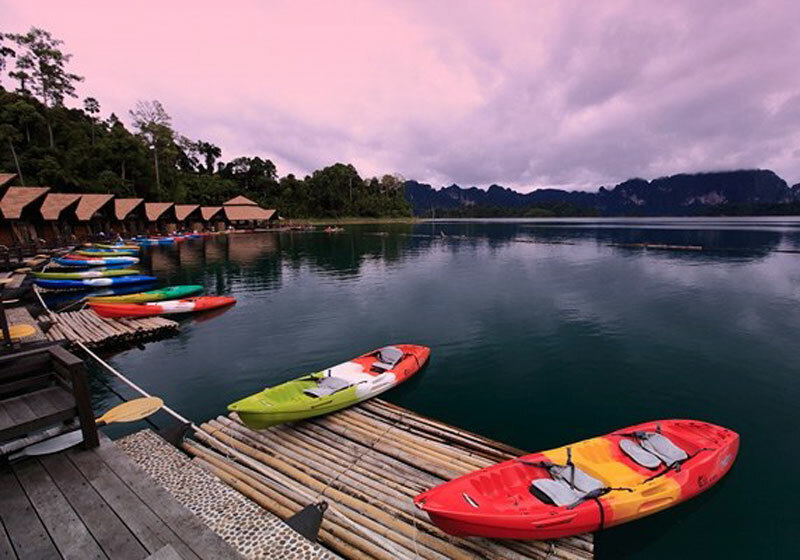 500 Rai Floating Rafthouse Resort is surrounded by the jungles and mountains of Khao Sok National Park. With the perfect combination of Thai hospitality and international luxury, we combine the best in comfort, elegant design, and the heart of nature. Eco-friendliness is at the heart of our operation, and we care for the lake through sustainable waste management, water treatment systems, and supporting local fishermen. Couples, families, and all those who appreciate nature will find a home here, and our caring staff look forward to welcoming you to 500 Rai. Short Description: 500 Rai Floating Rafthouse Resort is surrounded by the jungles and mountains of Khao Sok National Park. With the perfect combination of Thai hospitality and international luxury, we combine the best in comfort, elegant design, and the heart of nature.